WikiBranding: A look at two Americas. 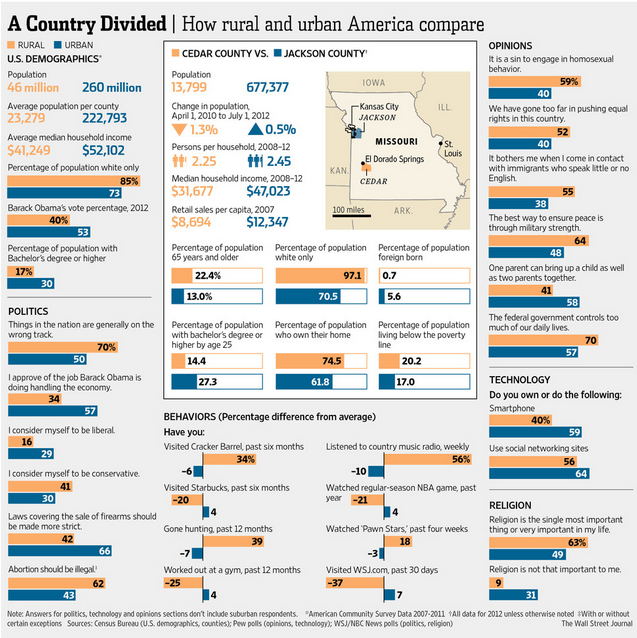 Informative report from the Wall Street Journal illustrating America's rural/urban divide. The gulf has never been wider or more stark – something to think about when creating national marketing strategies.